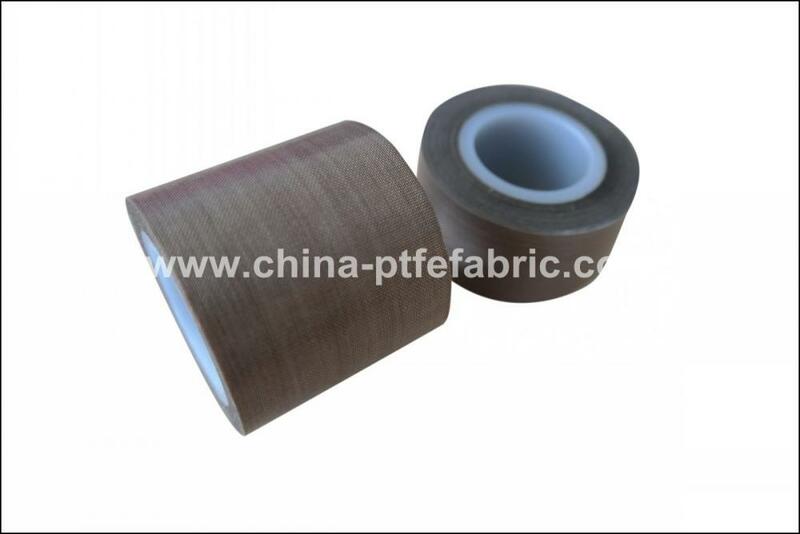 PTFE Fabrics Self-Adhesive can be supplied as slitted tapes,and we name it as "Self Adhesive PTFE Tape". 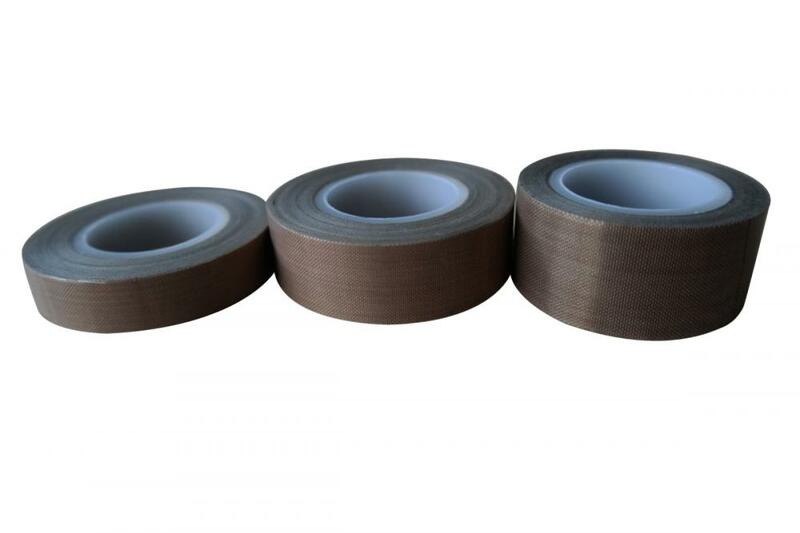 Self Adhesive PTFE Tape provides an excellent release surface for a diversity of industrial applications requiring high temperature, electrical resistance, mechanical strength,and fire retardancy. 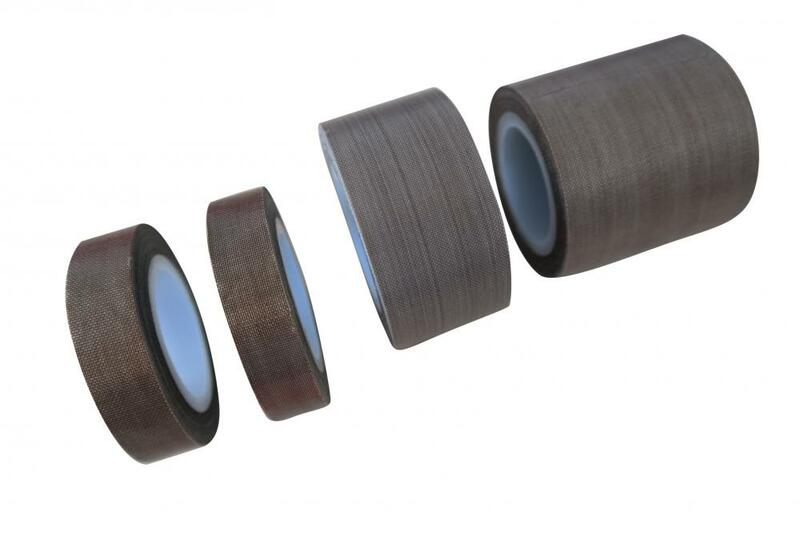 Self Adhesive PTFE Tape are most frequently used in heat sealing applications within the packaging industry for covering sealing jaws on L-Bar sealers for shrink films, easy release surface on heat sealing and packaging machines, ironing and pressing equipment,heat sealers for polyethylene and cellophane films, on blister, and film equipment. In these applications, non-stick properties and fiberglass' durability adds to long life and trouble free operation. Within the aerospace industry PTFE Tapes are used as glass breaker tape, heater cable and wire harness wraps, and as mold releases. Note: A protective yellow PVC release liner can be choosen or not. To request a quote on special width or length converting,please contact with us. Looking for ideal Heat Resistant Adhesive Tape Manufacturer & supplier ? We have a wide selection at great prices to help you get creative. All the PTFE Self Adhesive Tape are quality guaranteed. We are China Origin Factory of PTFE Tape. If you have any question, please feel free to contact us.